Here’s a simple, hearty vegetable soup that you can make on a Sunday afternoon when you plan to clean out the vegetable bin. You can put virtually anything you have left over in the soup, along with some vegetable broth, a big can of diced tomatoes, some beans and some pasta. It’s a family staple around here. In a slow cooker, combine broth, tomatoes, beans, carrots, celery, onion, thyme, sage, bay leaves, and 1/2 teaspoon each salt and black pepper. Cover and cook on LOW for 6 to 8 hours or on HIGH for 3 to 4 hours. Thirty minutes before the soup is done cooking, add ditalini, zucchini and spinach. Cover and cook 30 more minutes. Remove bay leaves and season, to taste, with salt and black pepper. Ladle soup into bowls and sprinkle Parmesan cheese over top. Garnish with basil, if desired. For anyone watching their weight, Thanksgiving has become a day filled with potential pitfalls and dietary disappointments. The original Pilgrim celebration of gratitude for having enough food to survive the coming winter has evolved into an all-day, all-you-can-eat extravaganza. Many families spend the day parked on their couches, watching parades followed by football, snacking whether they are hungry or not, before sitting down to an enormous meal. Suggestion One: Cut the fat. The centerpiece of Thanksgiving dinner is almost certainly the turkey, which is an easy place to cut fat without cutting flavor. Unless you are entertaining a dozen or more people, a turkey breast may be a better choice than a whole turkey. White meat is far leaner than dark meat, and turkey cooked on a grill (breast or whole bird) will release much of its internal fat during the cooking process. 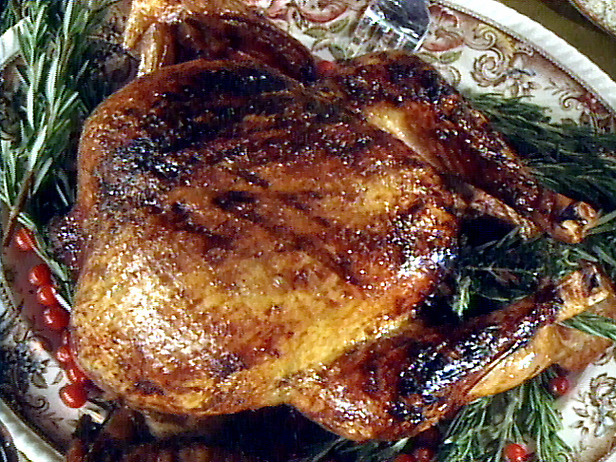 Brining a turkey can compensate for any moisture lost through decreasing the fat. This recipe is for a 12-15 pound turkey. If you have a larger turkey, double the brine recipe. The day before cooking, bring one-half gallon of water and all other ingredients to a brisk boil; immediately turn off the heat, cover and allow the brine to cool to room temperature. Half way through the cooling process, add the remaining half-gallon of cold water. When the brine is completely cooled, place the turkey, breast side down, in a brining bag, a food-grade bucket or large soup pot. Pour the brine over the turkey and refrigerate covered for 8-16 hours, turning the turkey over two-thirds of the way through. Leaving the turkey in the brine for more than 16 hours may leave the turkey mushy when finished. Before cooking, remove the turkey from the brine and pat dry. Start with a dry rub. Wash the turkey and pat dry. Rub the turkey inside and out with this rub or any favorite combination of spices. Spray the turkey with the olive oil, then place it, unstuffed, on the grill with the coals or burners not directly underneath. Include a pan to catch the drippings. Cook the turkey until the legs can be jiggled loosely from the thighs, (180°F on a thermometer inserted into the thigh) or in the case of a breast, until a meat thermometer inserted deep into the meat (but not touching the bone) reads 180° F. Remove the turkey from the grill, cover with foil, and allow to rest 15 minutes before carving. Suggestion Two: Slow down and enjoy the company. Many families load the Thanksgiving table with multiple options for entrees and side dishes. Dinner begins with the circulation of bowls and platters around the table, allowing each guest to take their portion before passing it on. By the time everyone is served, the food is cold and everyone is tired of waiting to eat. By serving Thanksgiving dinner in courses, it is easy to fill up on low-calorie, vegetable-based dishes before confronting the tempting entrees and side dishes. An added benefit will be the wonderful conversations your family and guests will have in between each course. 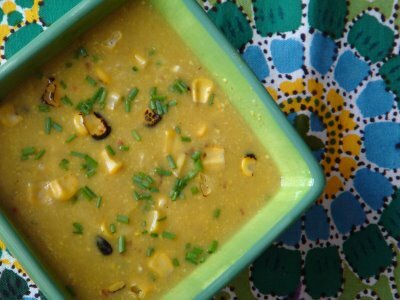 Start with a soup course (a corn soup is perfect for Thanksgiving), serving it in cups or small bowls. Then serve an autumn salad, made with butternut squash, cranberries, pumpkin seeds and fresh greens, with a tangy-creamy dressing. 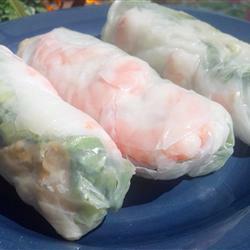 Try these recipes, which use traditional ingredients that were used in the 1600s. Heat the oil in a large soup pot over medium-high heat. Add the bell peppers, stirring occasionally, until soft. Add the shallots and stir 2 minutes. Add the curry powder and salt, and stir to combine. Stir in the corn, stock, and pepper; bring to a boil, reduce the heat to medium, cover and cook ½ hour. Transfer 2 cups of soup to a blender, add 1 cup milk, and process until smooth. Return the blended corn soup to the soup pot, add the remaining milk, and stir gently until the soup is hot. Serve immediately, garnished with the optional cheese and some chopped chives or parsley. Preheat the oven to 375°F. Peel the squash, halve, remove the seeds, and cut into 1-inch cubes. Lightly spray a roasting pan with olive oil, spread the squash on the pan, sprinkle with paprika, salt, and pepper, and spray with oil. Roast 35 minutes, stirring halfway through, until the squash is tender. Put the pumpkin seeds on baking sheet and bake for the last five minutes of the cooking time. 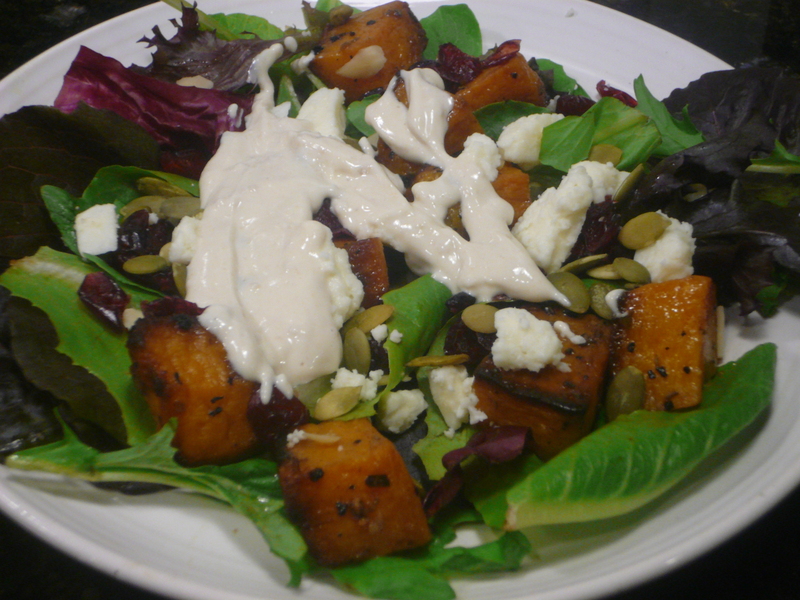 While the squash is roasting, make the dressing: whisk together the yogurt, tahini, lemon juice, and garlic. Slowly stir in 1-2 tablespoons stock, until the dressing reaches the consistency of buttermilk. Plate the salad greens, top with the squash, pumpkin seeds, cranberries, feta cheese, and parsley, and sprinkle the dressing on top. Season with salt and pepper and serve immediately. Suggestion Three: Limit options and focus on vegetables. In order to make your dinner lighter and healthier, consider limiting the number of options you present your guests, featuring one or two interesting new recipes in which vegetables play the starring role rather than laying out the full cast of customary starchy favorites. No one needs stuffing, mashed potatoes and sweet potato casserole, after all. New flavors may encourage new behaviors, as serving old favorites can entice your guests to heap too-large portions on their plates simply because they are accustomed to doing so. Here is a vegetable dish that is out of the ordinary, yet made with many of the familiar ingredients of traditional Thanksgiving dinners. It is easy to make, beautiful to serve, nutritious, and much more interesting than the customary green-bean casserole with cream of mushroom soup and canned onion rings. And so much better tasting! In a covered pot, bring the stock and 1 teaspoon salt to a boil. Spray a medium-sized mixing bowl. While the stock heats, heat olive oil in a heavy skillet on medium heat. Cook the onions, garlic, and remaining salt for about 25 minutes, until the onions are caramelized. Stir the squash, sage, fennel, and pepper into the sautéed onions and cook for 3-4 minutes. Remove from heat and cover. When the stock boils, gradually pour in the cornmeal, stirring vigorously. Reduce the heat until the thickening cornmeal simmers gently. Cook, stirring frequently, until the polenta is thick (but still pourable), adding hot water as necessary, and tastes done. Fine cornmeal cooks in a few minutes; courser meal takes longer. The consistency is key. When the polenta is done, stir in the sautéed vegetables and cheese. Pour into the oiled bowl and set aside to cool for at least 30 minutes, until set. About a half hour before serving, turn the cooled polenta dome onto a baking pan or ovenproof platter sprayed with olive oil and bake for 30 minutes, until hot. Serve on a bed of steamed spinach or Swiss chard and surround with toasted autumn vegetables. In a bowl mix together the marinade. Toss the hard vegetables (onions, carrots and potatoes) in the marinade, and spread on a baking sheet. Roast for 20 minutes, turning once. Toss the remaining vegetables in the marinade. Lower the heat to 400°F, place on a second baking sheet and roast another 20 minutes, turning once, and turning the hard vegetables again. 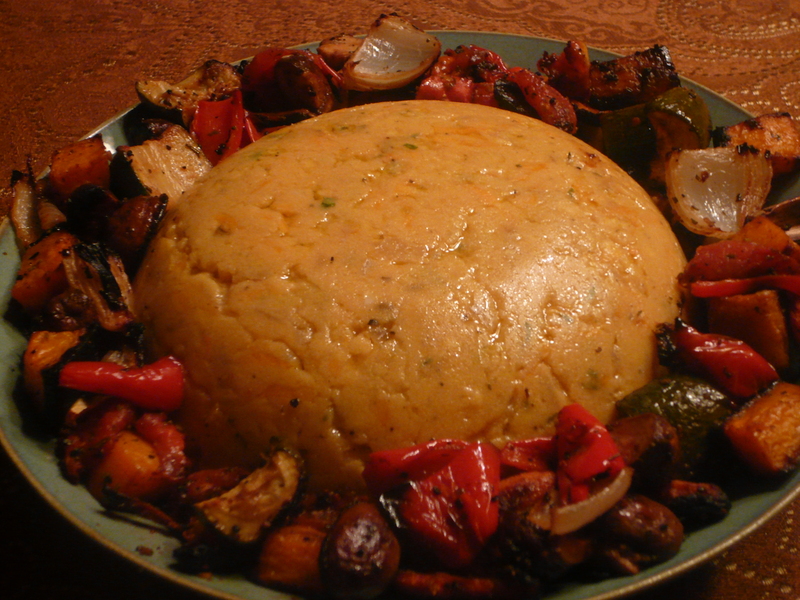 Serve on a large platter around the polenta dome. Watch carefully that the vegetables don’t burn. Probably the most troublesome parts of the Thanksgiving meal for people endeavoring to eat light and healthy are the stuffing and the gravy. The notion that stuffing and gravy are integral to the meal is deeply ingrained in our consciousness. A simple way to cut some of the fat from stuffing is to bake it outside of the turkey. Likewise, traditional gravy can be made without calorie-laden pan drippings. Even better, try a new approach to stuffing and gravy altogether, replacing bread cubes with high-fiber whole grains such as quinoa or barley and combining interesting new flavors into an almost fat-free gravy. Bring eight cups of water and 1 ½ teaspoons salt to a boil in a large saucepan; add barley. Cover, reduce the heat, and simmer until tender, about 30 minutes; drain. Meanwhile, heat 1 teaspoon oil in a large pot over medium-high heat; add onion, bacon, and carrots. 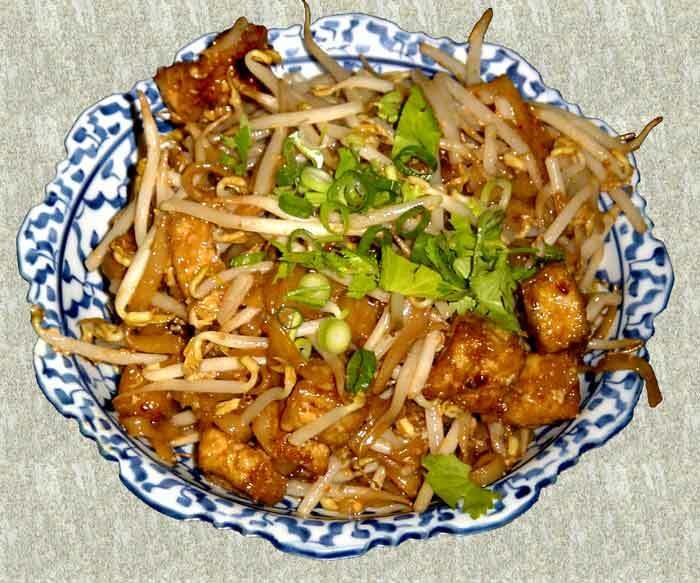 Cook, stirring often, until onion is lightly browned and almost tender, about five minutes. 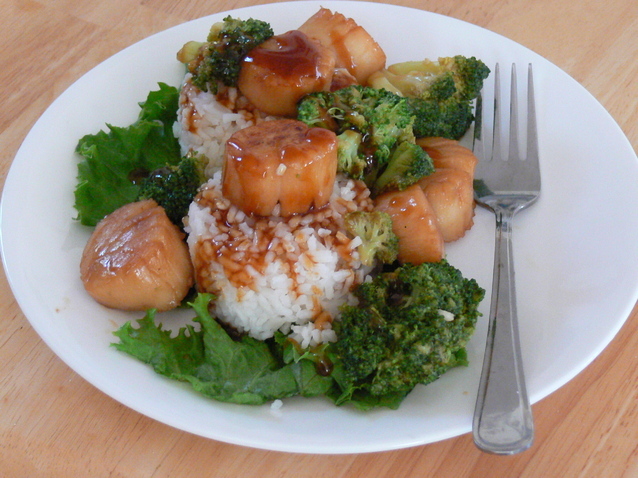 Add mushrooms and garlic; cook, stirring often, until the vegetables are tender, about five minutes more. Stir in herbs, pepper, remaining salt and olive oil. Reduce heat to low, stir in broth and barley, toss to coat. Remove from heat, transfer to a serving bowl, and sprinkle with parsley. Warm the oil in a large saucepan on medium-high heat. Add the onions and sauté for 2-3 minutes, until the onions are coated with oil. Add the paprika, salt, herbs, and nutmeg. Reduce the heat to medium and continue to cook, uncovered, stirring occasionally, for about 30 minutes, until the onions are limp and very brown. You should have about a generous cup of caramelized and very sweet onions. Add the soy sauce, 1 ¾ cups broth, and the wine to the onions; bring to a simmer. 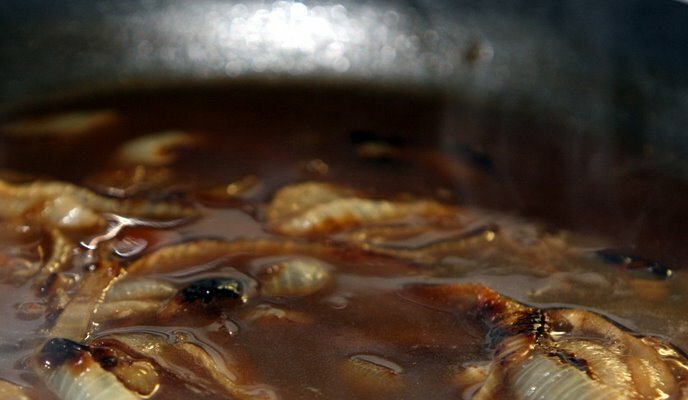 Dissolve the cornstarch in the remaining broth and mix into the gravy in a slow but steady stream. Stir constantly until the gravy is thickened. A cherished part of Thanksgiving for many is filling one’s plate with heaps of good food. Slow everyone down a bit by serving your meal on smaller salad plates rather than dinner plates. Your guests will retain the pleasure of combining delicious foods together without committing themselves to more than they can – or should—eat in one sitting. If, by some chance, they are still hungry after cleaning their plate, they are welcome to come back for more. The same strategy works well with dessert. 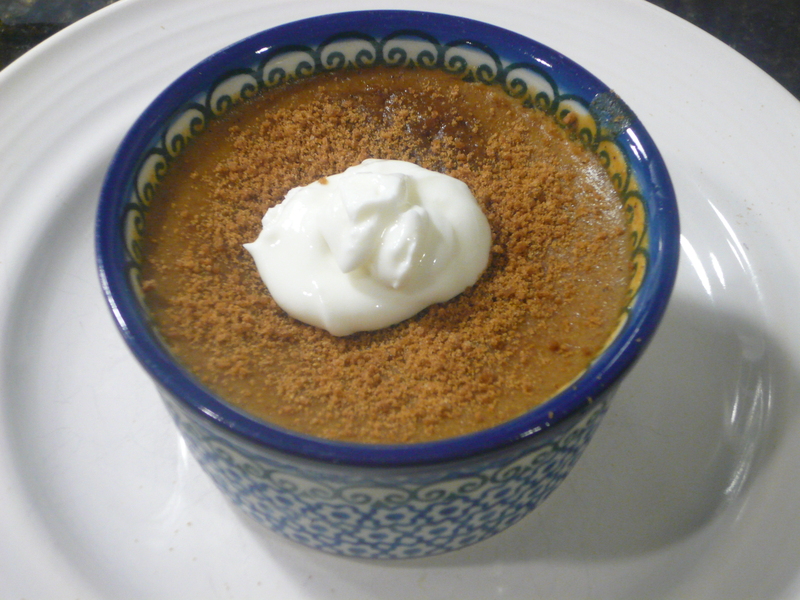 Instead of baking a pumpkin pie, bake the pumpkin custard (substituting egg whites and evaporated skim milk to lower the fat) in ramekins. Serve each guest their own portion with a ginger snap in a ramekin, saving them the fat and calories of the crust and the temptation to eat more dessert than they should. The secret to losing weight or maintaining a healthy weight is to make a series of small changes and then be consistent in retaining those changes; but in the end, food and the experience of sharing a meal with loved ones should still be pleasurable. This Thanksgiving, try one or two of these tips to save yourself unnecessary fat and calories without losing any of the enjoyment of spending this special day with the people you love. Who knows? Maybe you will be creating new, healthier traditions for years to come. I’ve got to tell you about this chicken recipe. There’s three things to recommend it: 1) it’s about the simplest hearty chicken dish I’ve ever made; 2) because it’s weight watchers, it’s a guilt-free supper, being extremely low in fats and carbs; and 3) it’s so wonderful and tasty to eat that I make it about once a week. 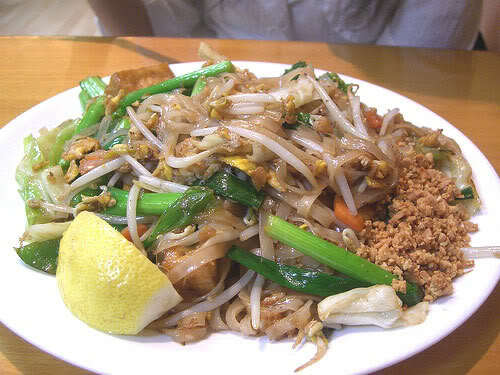 You won’t ever find a more tasty, simple, and filling dish, great for a busy family like mine. Heat nonstick Dutch oven over medium-high heat. Add bacon and cook until crisp, about 5 minutes; transfer to paper towels to drain. Add chicken to pan in two batches, and cook until lightly browned on all sides, about 5 minutes per batch. Transfer chicken to plate. Reduce heat to medium. 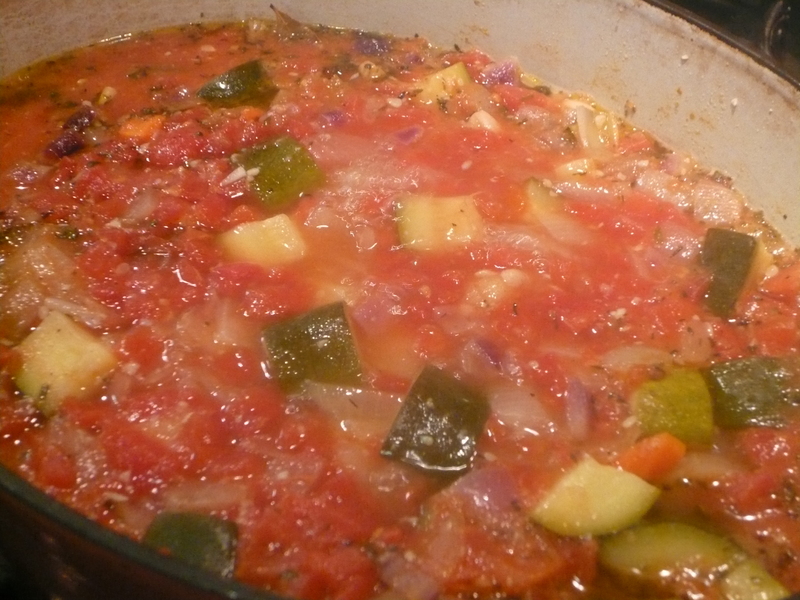 Add chopped onion, celery and garlic to Dutch oven; cook, stirring, until vegetables are lightly browned, about 8 minutes. Stir in tomato paste. 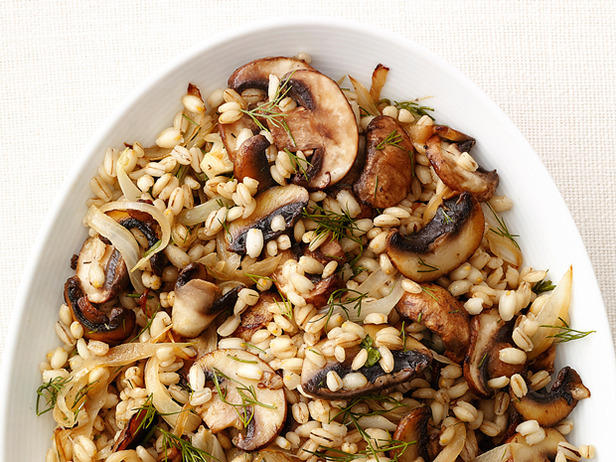 Add mushrooms and frozen onions; cook, stirring, 1 minute. Add broth, wine, potatoes and carrots; bring to boil, scraping up browned bits from bottom of pot. Return chicken and bacon to Dutch oven. Reduce heat and simmer, covered, until vegetables are tender and juices run clear when chicken thigh is pierced, about 25 minutes. Meanwhile, whisk together flour and water in small bowl. Stir in about 1⁄4 cup of hot stew liquid until blended. Add liquid to pot and cook, stirring occasionally, until liquid bubbles and thickens, about 3 minutes. Serve sprinkled with parsley.